Mentor Text for Fact and Opinion! Freebie! | Primary Planet! Mentor Text for Fact and Opinion! Freebie! Hurrah! It is Mentor Text Monday! 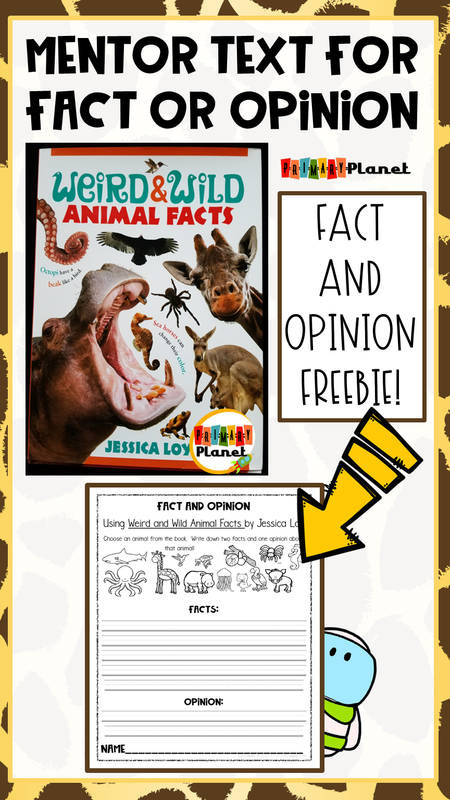 Weird and Wild Animal Facts by Jessica Loy! 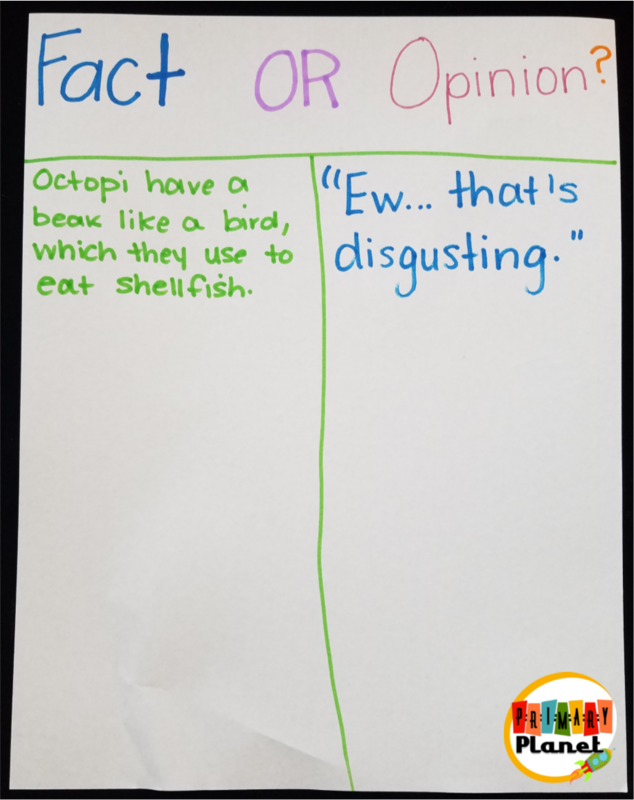 It is perfect for teaching about Fact and Opinion. Yes, there is a freebie AND I am giving away a copy of the book below! This book is so much fun! It has lots of great pictures and fun facts about some amazing animals. It is organized into smaller chunks of text to make it a bit easier for kiddos to read. It is also a Young Hoosier Award Nominee for this year! If you want to know more about the Young Hoosier Award and the nominees, you can find that info HERE. This book is a perfect Mentor Text for Fact and Opinion. Perfect time to point out that all of those things are OPINIONS. Then, when you start reading about the animals, you can point out that these are FACTS. This would also make a great anchor chart! Write down the kiddos reactions when you show them the pictures on each page, then have the kiddos decide what fact they like the best and write it on the other side. My kiddos LOVED this book. I have a lot of students this year who are crazy about animals. This book would also be a great resource when doing animal research reports as it has so many fun facts! If you don't already have this little gem you can get it here through this affiliate link. (affiliate links provided to fund future Mentor Text Monday book purchases!) I make a small commission at no extra cost to you! Thanks for your support! Click HERE to get your Fact or Opinion Freebie! Pin the image below so you won't lose your freebie!